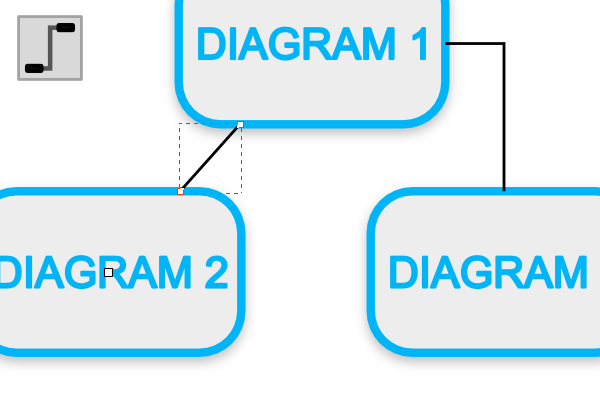 One of the 19 main tools in Inkscape includes the Diagram Connectors tool which is used to create perfect lines between objects to connect them. Unfortunately, this tool can be pretty tricky to understand at first. Let’s learn how to use the awesome tool with ease! 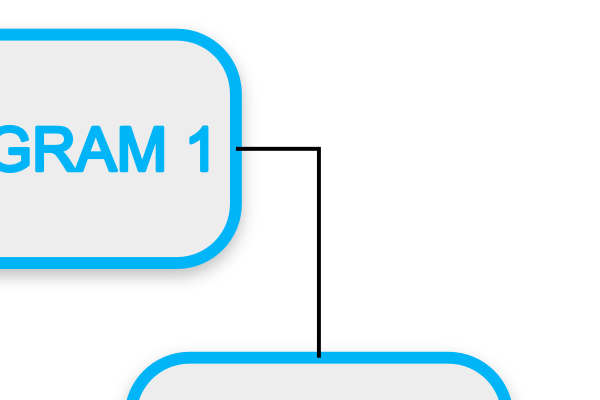 In order to use the Diagram Connectors tool, we’ll of course need a diagram. Looks pretty sad without connectors, doesn’t it? 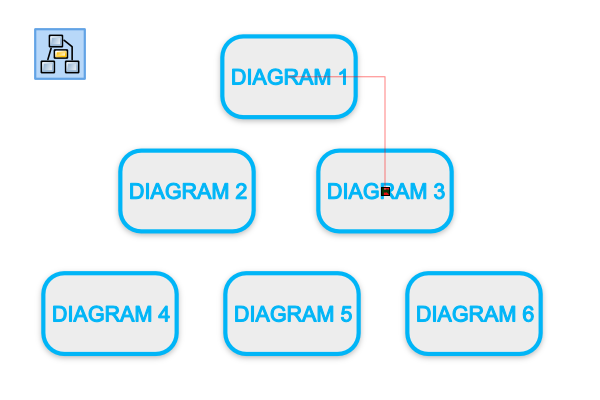 When you select the Diagram Connectors tool, you’ll notice little white squares as you hover over objects. These are what you want to click to create a connection. Go ahead and create your first connection! You’ll see that it automatically adjusts the line to fit nicely. Below, I’ve created another connector to the left, but this one is just a straight line. In order to do this, draw your connector first and keep it selected. Now you’ll be able to select Make connector orthogonal or polyline from the Diagram Connector toolbar to toggle this setting. So you might end up with something where the connector overlaps another object, which is not pretty! To remedy this, keep your connector selected again, but also hold Shift and select the object you want to avoid. You can now select Make connectors avoid selected objects from the toolbar. Now, just watch the magic happen! 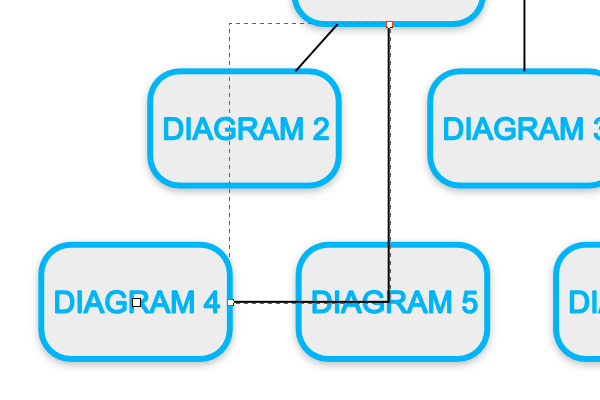 Now that you get how the Diagram Connectors tool works, I’m going to just go ahead and finish mine up. See those smooth curves I added? Well, you can find the Curvature setting in that same toolbar (along with spacing and length). 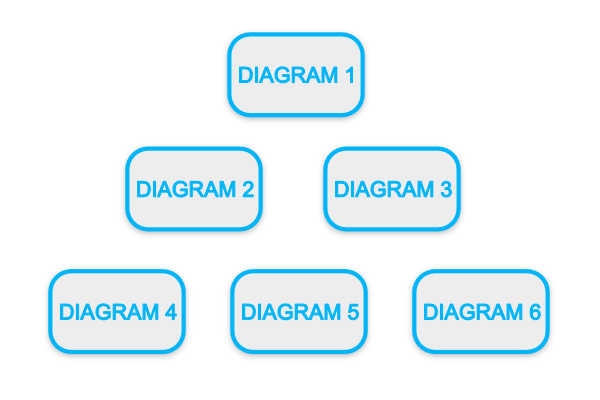 While the Diagram Connectors tool may seem a little complicated at first, it’s actually a really neat and efficient tool. 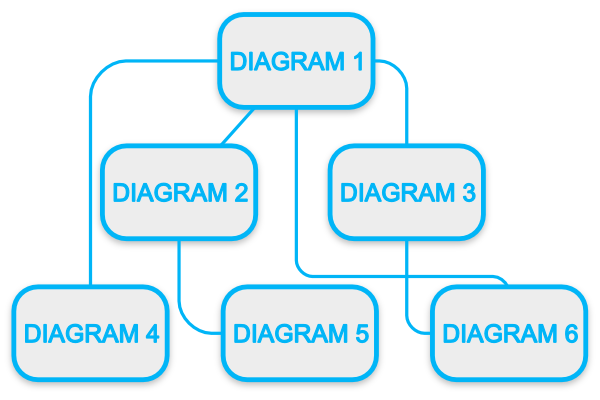 Obviously, it’s catered towards these types of diagrams, but I’ll bet there’s some more creative uses for this tool! Thanks for reading.